In the bad old days if you wanted to add an optic to your rifle you had to take it to a gunsmith who drilled and tapped the receiver in order to install scope rings. And if you wanted to get tactical by adding a flashlight to your rifle, Duct Tape (Bill Murray style) was your only option. The first rail system developed for optics was the Weaver system and you still see it advertised today, however it has been in large part replaced by the Picatinny rail system. This later system was developed for military use in the mid-1990s. It is sometimes referred to by its official title of MIL-STD-1913. This rail system is standardized and has consistent spacing, and while Weaver and Picatinny may look the same the dimensions are different. Items designed to fit a Weaver rail will generally fit a Picatinny Rail, but the inverse is not usually the case. It is important to now which rail system you have and what accessories you own designed for it. The easiest way to tell them apart is that the grooves that hold things in place are .206 inches wide on a MIL-STD-1913 (Picatinny) rail and only .180 inches wide on a Weaver rail. For the most part, few people will need to worry about this because if you are buying any tactical rails or accessories they will be Picatinny. Having one uniform system is a great advantage because all of your accessories can be mounted anywhere you have a rail. 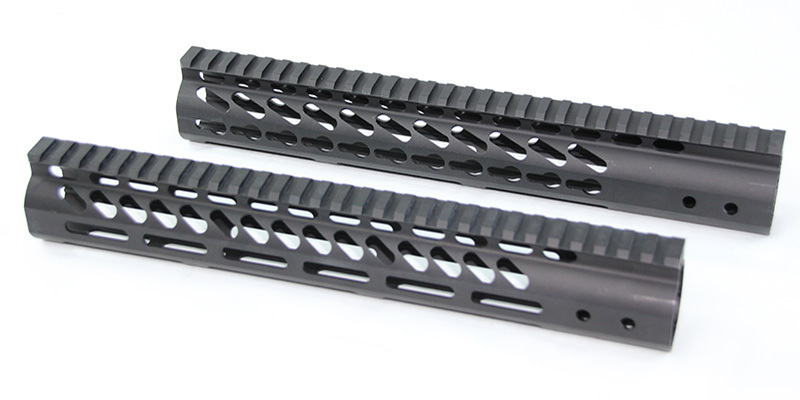 As a result we have a ton of quad rail handguards like the CAA-Tactical Handguard w/Picatinny Quadrail Set for the AK or the BLACKHAWK AR15 Carbine Length 2Pc Quad Rail that doesn’t even feel the need to tell you it’s a Picatinny rail system. A full length quad rail, especially on an AR, lets you mount anything you need almost any place you need. The downside is that almost no one needs the entire rail that is available so a lot of it is essentially wasted. A full length quad rail also adds bulk and weight which no one needs and you are limited to those four positions. What if you could have a simple, thin, lightweight rail with zero bulk that still let you add accessories anywhere you need them and not just at four positions but at eight different angles? This is exactly what the folks at VLTOR Weapon Systems and Noveske Rifleworks came up with: a universal rail system that allows the user to easily install just the right amount of Picatinny rail in the exact spot where it is needed. They had the further bright idea to put the system they developed into the public domain so any manufacturer could make it and the accessories for it royalty free. 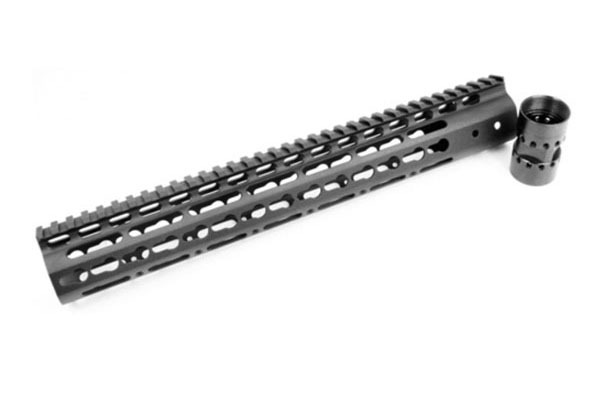 This led to widespread adoption and now Key-Mod rail systems like the NOVESKE NSR Keymod Handguard are everywhere. The Key-Mod name comes from the fact that the accessory and rail attachment holes on the handguards are in the shape of a key hole. A large ring section on the back of the rail goes into the large opening and then slides back under the narrow portion and is locked down with an Allen wrench. In this manner the user can add rails and then add whatever accessories are desired to the rail sections. Of course to reduce weight and bulk some accessory manufacturers are making lights, lasers bipods, sling swivels etc. with the Key-Mod system built in so there is no need for rails at all. I have used Key-Mod rails quite a bit and found them to be extremely sturdy. These are designed as a metal on metal fit and will not move or come loose under recoil or harsh conditions. The Key-Mod system also came out a little before the competing M-Lok so there seems to be more out there for it, for now at least. The competition for a standardized weapon accessory attachment system got a lot hotter when Magpul introduced their M-LOK rails. 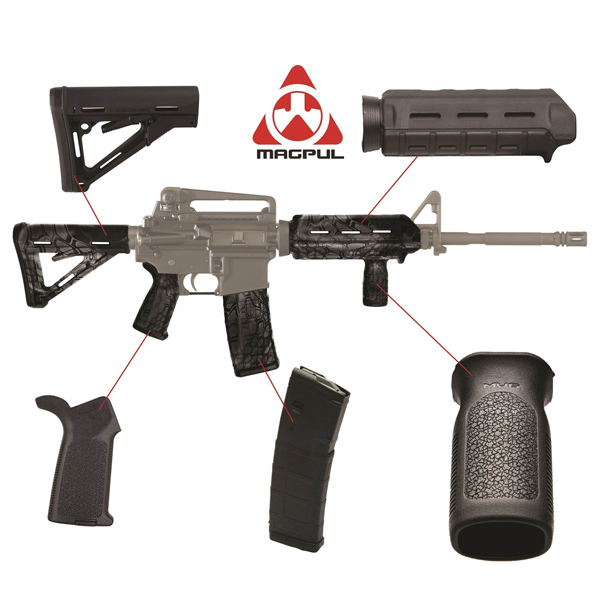 Magpul furniture has become practically a de rigueur upgrade on all AR rifles and carbines and many manufacturers ship their ARs with the Magpul furniture already installed. You can even buy the furniture as a complete kit like this MAGPUL AR-15 Carbine Furniture Upgrade Kit. I personally am a big fan of Magpul and their quality, fit, ergonomics and price is hard to beat. Magpul MOE handguards already had cooling slots which allowed for the attachment of certain rails and accessories made by Magpul. This system worked well enough but the new M-LOK system, which is completely replacing the old system, is a significant upgrade. 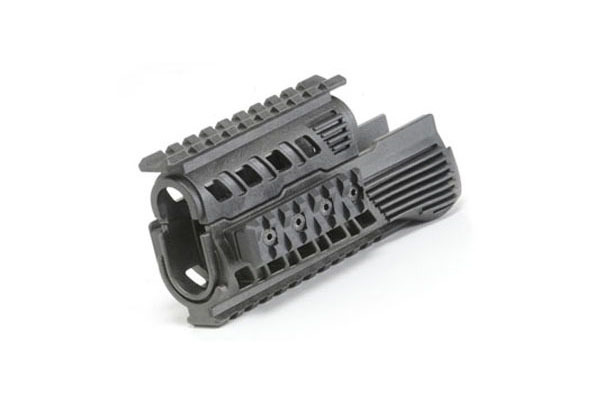 For starters you no longer need to have access to the back of the handguard to attach accessories. Everything you need can be done from the front with no need to remove the handguards. 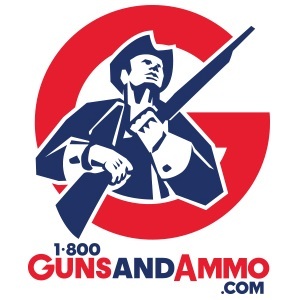 Like the Key-Mod system the technology is provided in an open source system so any manufacturer can make accessories that fit the M-LOK royalty free. 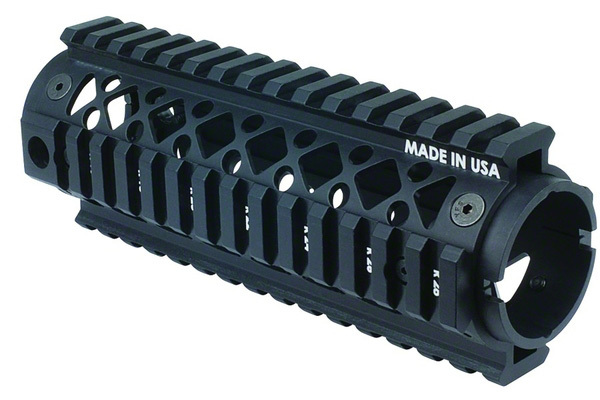 M-LOK stands for Modular Lock system and it uses stronger and larger elongated slots along the length of the handguards. Rails and accessories are attached using a steel cammed T-nut and Allen wrench that works with both metal and polymer rail systems, which can reduce costs. 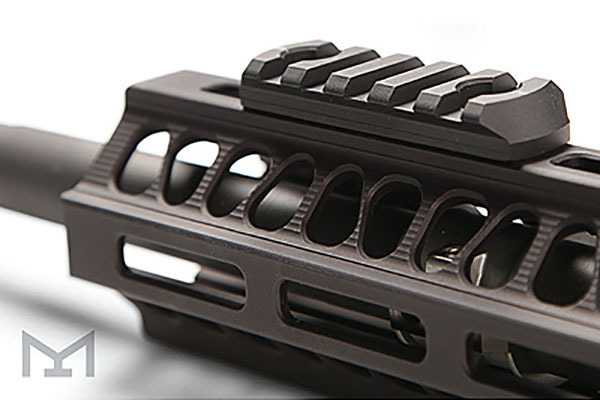 The rail lengths themselves can be mounted forward or backwards, feature recoil mitigation lugs so they stay in place and with an adapter all of your old MOE accessories will fit on the new M-LOK system. This backwards compatibility is a great benefit especially for anyone who invested heavily in MOE accessories. However the new M-LOK accessories will not fit on the old MOE system. If all of this is starting to sound like the old VHS versus Betamax feud it is not as bad as that. There is in fact room for both systems to co-exist and each offers something slightly different to the end user. It should be encouraging that we have options and the companies standing behind these systems are first rate innovators of the highest levels. 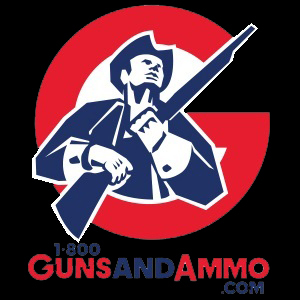 Manufacturers are lining up too and companies like Guntec USA are releasing new products and handguard sets for both systems. How Do Reflex Sights And Holographic Sights Differ?